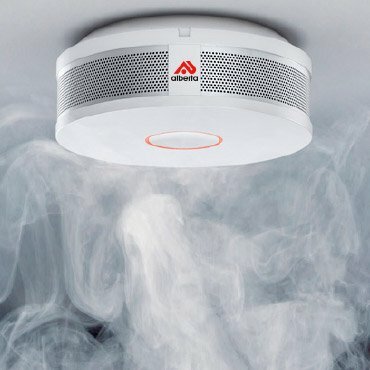 Fire hose reels are located to provide a reasonably accessible and controlled supply of water to combat a potential fire risk, especially where an extinguisher may not provide adequate cover. Fire hose reels are suitable for all locations and are ideal for large, high risk environments such as schools, hotels, car parks, warehouses, factories, theatres, concert halls and large petrochemical areas, amongst others. The length of a fully extended standard fire hose is 36 meters with an outside diameter of 19mm. Fire hoses are designed to deliver a minimum of 0.33litres of water per second and a control nozzle attached to the end of the hose enables the operator to control the direction and flow of water to the fire. 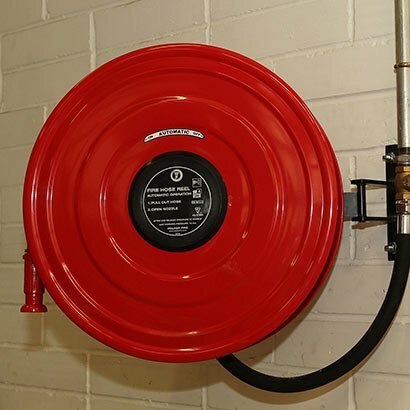 All fire hose reels come with a unique ball valve shut-off device, a plastic or solid brass hose reel nozzle and a mounting bracket. Alberta’s range of fire hose reels are installed, serviced and maintained by engineering professionals.